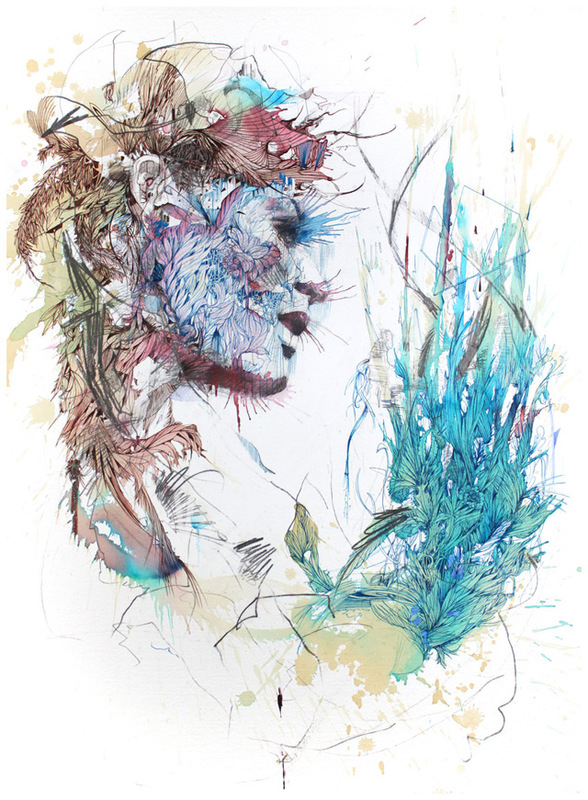 London-based artist Carne Griffiths has a new body of work currently touring as part of a group show in Hong Kong called Trailblazers curated by Coates & Scarry. The multi-layered portraits include Griffiths’ trademark floral and geometric flourishes made from coffee, tea, ink, brandy, and vodka. To accompany the exhibition the artist also produced a new set of limited-edition postcards available through Etsy (where you can also see these at a much higher resolution).